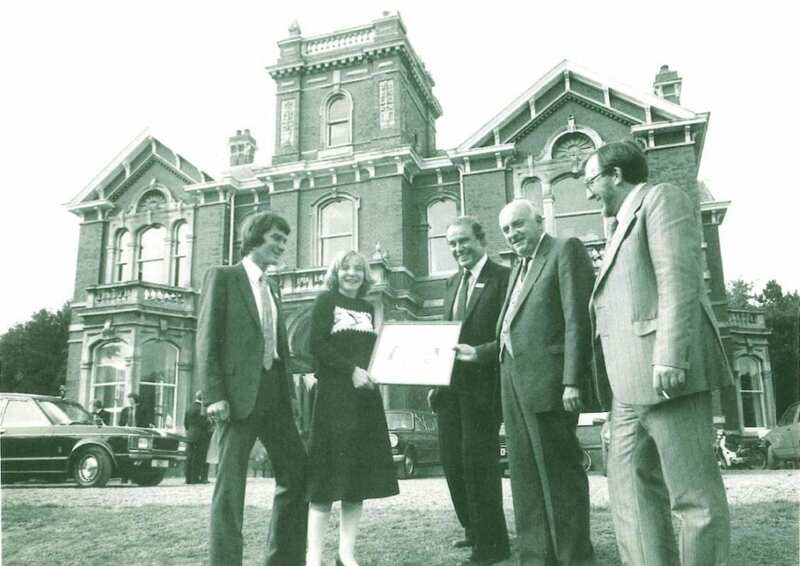 43 years ago today, on the 14th January 1976 the Linkage Community Trust was born. On this day, Dave Sampson (social worker), Don Mackenzie (Educational Psychologist) and Rex Richardson (social worker) started a charity which would change the lives of thousands of people with learning disabilities. Through their work, the three men saw first hand that provision for young people with varying degrees of learning difficulties ended after school. There was a distinct shortage of appropriate support to help people lead creative and purposeful lives in the community. The aim of the charity was to provide a creative and enriching place for adults with learning disabilities and their families to be supported with their struggles and hopes. A place where people with learning difficulties could develop social and practical skills to help them live in the real world. In the early days the focus was on the development of a further education college to provide young people with a ‘next step’ after school. Initially opening with only four students, the numbers quickly grew, as did support for the work Linkage was doing. Co-founders Don Mackenzie (left) and Dave Sampson (right) with long-term Chairman and Trustee George Bateman (second on the right) at Weelsby Hall. In the 1980s, a recognition of the need for longer-term residential support beyond college led to the development of a network of residential care homes. The charity was being recognised for the difference it was making to people’s lives. 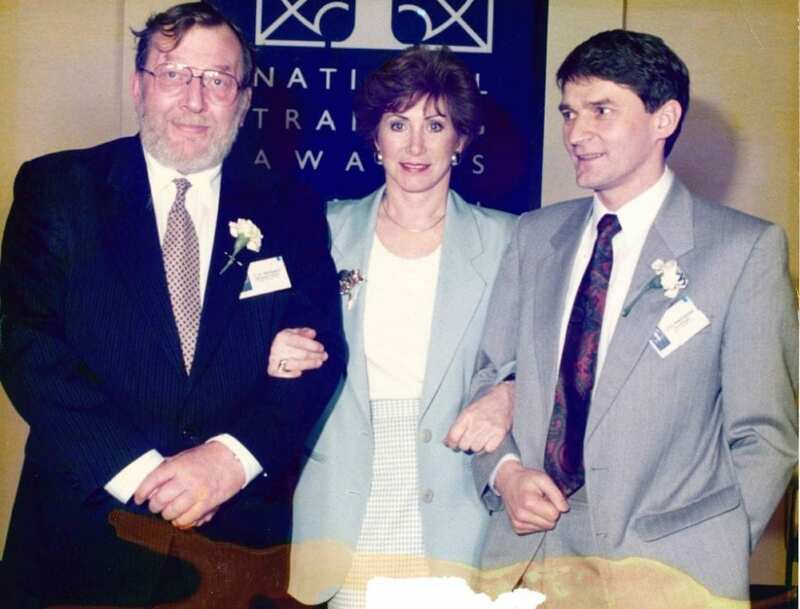 Former Blue Peter presenter Valerie Singleton with Dave Sampson (left) and Don Mackenzie at the National Training Awards. and educate hundreds of learners across our 3 college campuses, Grimsby, Toynton (near Spilsby) and Boultham Park in Lincoln. If you would like to give us a birthday present please vote for us! As we celebrate our 43rd birthday we are as driven by our vision as Dave, Don and Rex were in the ’70s. We are currently looking to tap into a major fundraising stream as Lincoln Football Club’s Charity of the Year 2019. The support we will get from the club if we win the public vote will help us expand our work immensely. Facebook Poll – Please CLICK HERE to vote by Facebook – Making sure you tick the Linkage Community Trust button. Email – Please send in your votes to charity@lincolncityfc.co.uk along with your name and postcode. Paper Based – There is a box situated in the Ticket Office at Sincil Bank. Please place your votes in the poll box along with your Name, Email Address and Postcode.